The construction of information platform of industry association to promote the development of logistics industry, but the function and content of the logistics industry association need to be shown through the information platform. The construction of information platform of industry association to promote the development of logistics industry, but the function and content of the logistics industry association need to be shown through the information platform. So whether to play a role in promoting the construction of information platform? 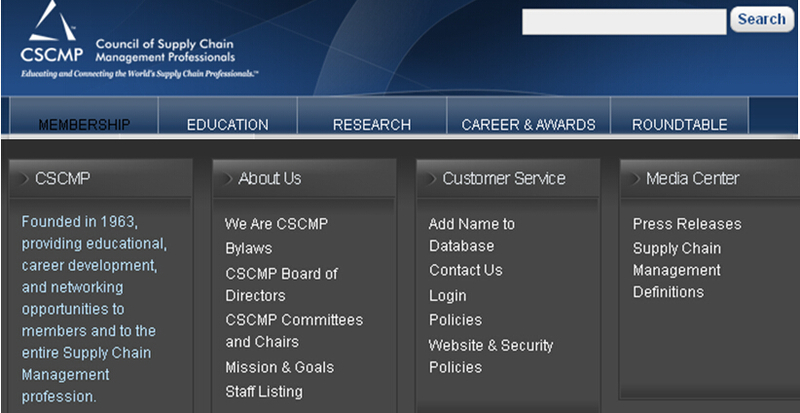 In a recent paper by Liu Shaohua and Ma Yinbo, expounded the function of Beijing-Tianjin-Hebei information platform of logistics industry association in detail, and listed the function of information platform of the Council of Supply Chain Management Professionals (CSCMP), by comparing with the logistics industry association abroad found that lack of information platform construction of Beijing-Tianjin-Hebei region logistics industry association. For such a developing country, China, the logistics industry started late, various Settings of building are not perfect. In order to accelerate the process of the development of logistics industry, the state introduced a series of policies, industry society widely established industry association. Integration of the Beijing-Tianjin-Hebei region is also being carried out, in order to promote the development of the integration of Beijing-Tianjin-Hebei , logistics industry also need to speed up. So under the situation of integration of the Beijing-Tianjin-Hebei region, the development of Beijing-Tianjin-Hebei region it is also necessary for the construction of the logistics industry association. By strengthening the communication with the enterprise logistics industry association, to understand their thoughts to need, offer the high quality service, as a member, doing well the service for the general logistics enterprises, is the fundamental association won the support and development. And it is also the source of vitality of the association. Logistics industry association is the general logistics enterprises participate in the platform. It is the enterprise to strengthen the contact with all levels of government, the communication of the bridge and the link. Association should actively organize members to learn about the various policies to promote the development of logistics industry, dig through the spirit, to grasp the overall situation, seize the opportunity, strive for the support, provide scientific basis for government decision-making. Industry organization must first change ideas, reform the system, and better service to the government and enterprises, strengthen industry self-discipline and coordination. In a preliminary investigation of cases, there are 92 logistics industry association in Beijing-Tianjin-Hebei region, the study of Beijing, Tianjin and Hebei Province logistics industry association information platform function and display the contents of summary and comparison, find some deficiencies and some favorable places, for the future construction of the information platform of the logistics industry association to an overall planning of the role.